This Sweet Menagerie Quilt designed by Roslyn Mirrington from Bloom for Modabakeshop, The Tutorial is available for free. 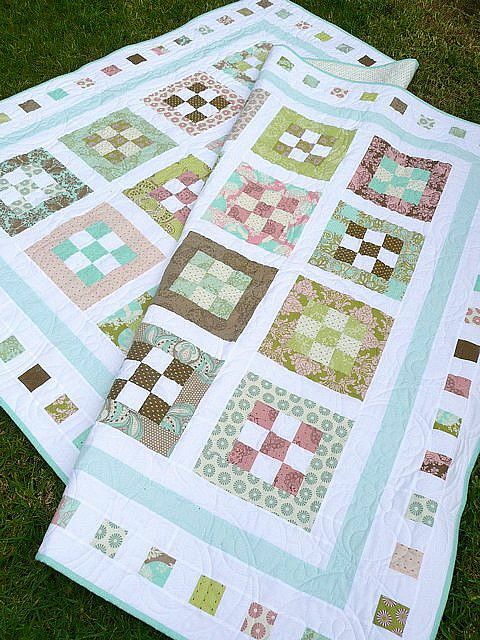 This easy-to-piece quilt is made from Tula Pink’s delicious new line, ‘Hushabye’. In her inimitable style, she has cleverly hidden a menagerie of cute creatures in her fabrics ready for you to discover.